The Aston Martin DB4 is the car that started a styling trend that would continue for over a decade in a handful of models. They’re beautiful cars with a lightweight body, as designed by Carrozzeria Touring. They were built between 1958 and 1963 in five different series with each successive series featuring slight styling tweaks. This is a Series IV car. It is also a “Vantage” car – Aston speak for the biggest and baddest available. In this case, it means it features a triple-carbureted version of the DB4’s 3.7-liter straight-six, making an impressive 266 horsepower. Vantage cars were only available beginning with the Series IV launch in 1961. Of the total 1,110 DB4s built (not counting DB4GTs), only 136 hard tops were built with the Vantage engine. An even fewer 32 convertibles had the same motor. Only 70 DB4 Convertibles were built in total. And yes, this car is a pre-Volante terminology Aston Martin “convertible.” It’s a rare car. This car was purchased new by actor Peter Utsinov and it is left-hand drive. It has seen very little use since the mid-1980s and has never been restored. It will need a little attention before you take it out on the road, but that shouldn’t hamper the price too much – it is estimated to bring between $1,400,000-$1,500,000. Click here for more info and here for more from this sale. 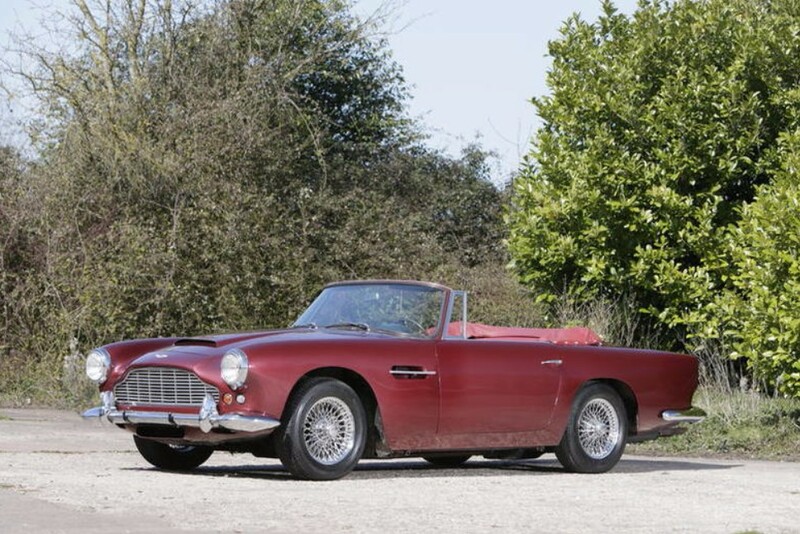 This entry was posted in Uncategorized and tagged 1962, aston martin, auctions, Bonhams, cars, classic cars, convertible, db4, series iv, vantage by classiccarweekly. Bookmark the permalink.